Learn how to bulk upload family member information into Otus. 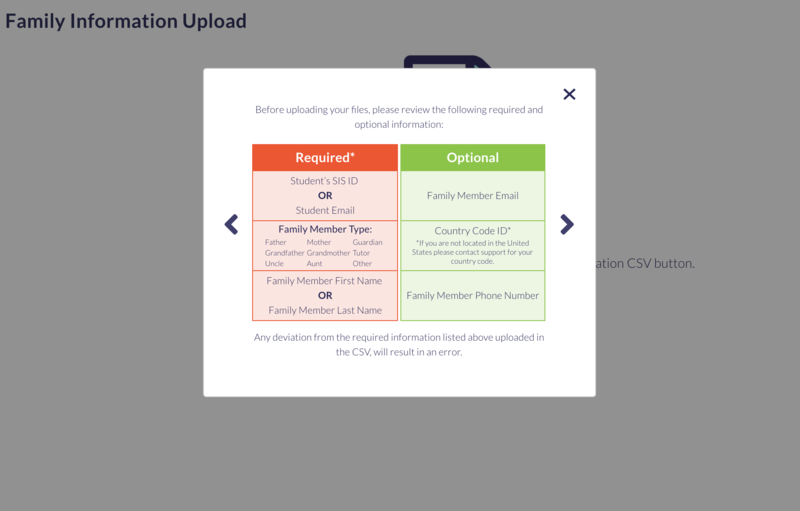 Main administrator account holders have the ability to bulk upload family information into Otus. **Please know that this does not create accounts for family members. These account holders will still have to create an account by visiting my.otus.com and entering their child's student code. To upload multiple family members into Otus, first navigate to the Control Center from the lefthand toolbar. From the Control Center, select Family Info. 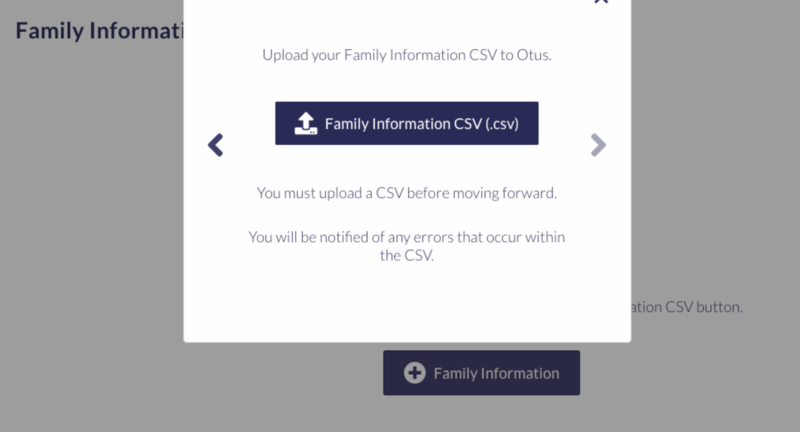 You will see an option to download the Family Information template. After your family information has been added to the template, please save the file to your computer. After selecting the next arrow, you will see a few requirements to note before uploading your file. If your file meets the requirements, select the arrow to the right. 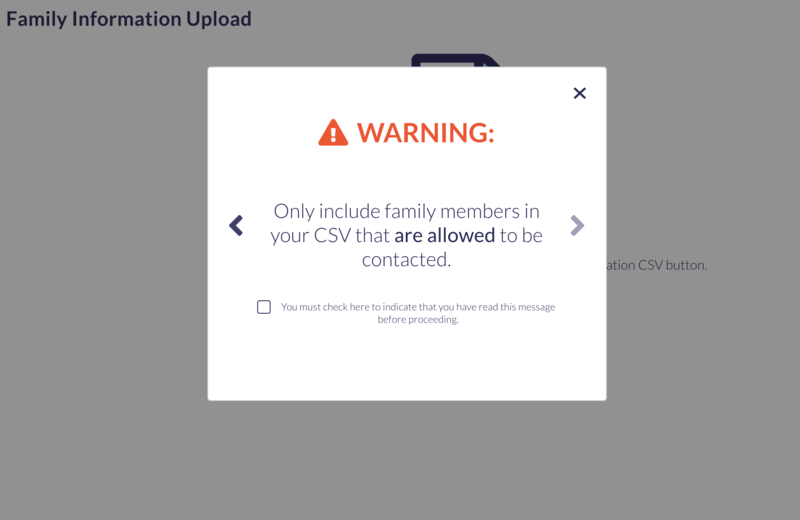 You will then be presented with a warning that reminds you to only include family members that are allowed to be contacted. You must check the box before moving on to the upload screen. 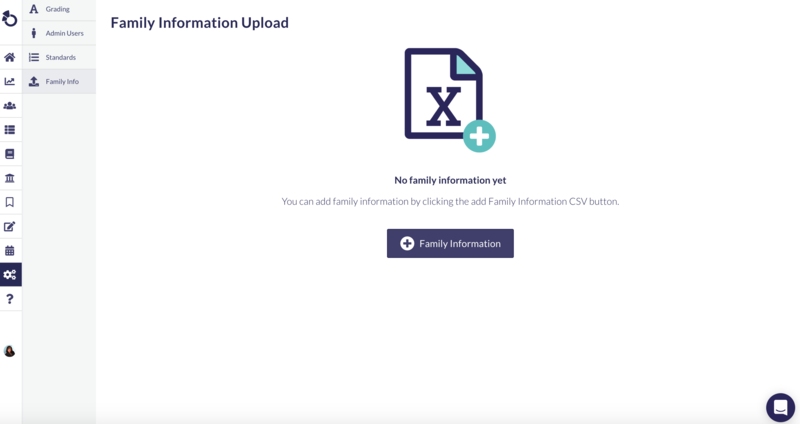 Finally, upload your Family Information file! Teachers and administrators can make changes to family accounts directly in students' profiles if adjustments need to be made.